Can Beaten-Down MedMen Enterprises Stock Recover? For America's largest marijuana retailer, a capital raise misfires and sends investors running for the hills. Investors who bought MedMen Enterprises (NASDAQOTH:MMNFF) in recent months have been scratching their heads lately. Since legalized recreational marijuana sales began in Canada, the stock has fallen around 48% despite midterm election results in the U.S. that will expand state-legalized sales in MedMen's arena of operations. The U.S. market for recreational and medical marijuana is expected to reach $11 billion in 2018, then more than double by 2022. With numbers like these, some MedMen investors are wondering -- and hoping for a rebound. Here's why its stock has been hammered lately, and what investors need to see before it can recover. On the Friday following the midterm elections, MedMen announced a deal that the company probably should have completed the week prior. It had originally intended to raise $120 million in Canadian currency ($90.6 million) by selling 17,648,000 units at a price of CA$6.80 each on Nov. 30. These units included a share now, plus rights to purchase another half-share of MedMen for CA$5 at any time up to 36 months after the offering. Several states voted to expand legal marijuana sales on Nov. 6, and as is usually the case when good news plays out as expected, MedMen stock tanked. The same group of investors is still interested, but their terms have soured. Under a revised agreement, the syndicate will purchase 13,630,000 units for just CA$5.50 each, and now the units include rights to purchase an entire MedMen share for just CA$6.87 before Sept. 27, 2021. Instead of raising CA$120 million in gross proceeds, MedMen now expects just CA$75 million. If the new warrants are executed, it will raise MedMen's outstanding share count 67% higher than where it stood at the end of June. That means investors are going to see a much smaller share of every dollar this company stands to earn going forward. MedMen's chief financial officer resigned on the same day his company announced the updated terms to the latest share offering. The former VP of accounting, Jim Miller will take up the CFO role while the company searches for a replacement. I'm not sure what Miller had in mind when he joined MedMen Enterprises this January, but he's probably going to receive a lot more attention than he expected. Management will report earnings results for the quarter ended September after markets close on Nov. 29. Bullish analysts will be looking for signs the company can narrow a wide gap between revenue and expenses. If not, this stock's chances of recovering in the near term will get awfully slim. If sales in the three states where MedMen is already open for business (California, Nevada, and New York) surge fast enough to limit losses, this stock could start bouncing back. Given the slew of activity in recent months, though, few analysts will be surprised if management reports wider losses than during the previous quarter. Despite surging revenue, operations lost a whopping $96 million during fiscal 2018, which ended in June. MedMen finished its fiscal year with just $30 million in working capital on its balance sheet. If it keeps losing money at its present pace, its upcoming share offering won't raise enough capital to keep the lights on through fiscal 2019. Unfortunately, it looks like losses could get even wider in the quarters ahead. On Oct. 11, a week before marijuana stocks tanked across the board, MedMen agreed to acquire all of PharmaCann's outstanding shares for $682 million. The acquisition will effectively double the number of U.S. states where the company has licensed dispensaries, but rapid expansion also means that MedMen has a lot more bills to pay while waiting for local governments to allow its new locations to actually begin selling products. At recent prices, MedMen's market cap is still up around $1.5 billion, which is extremely high for a company that recorded a $13.1 million gross profit in its latest fiscal year. 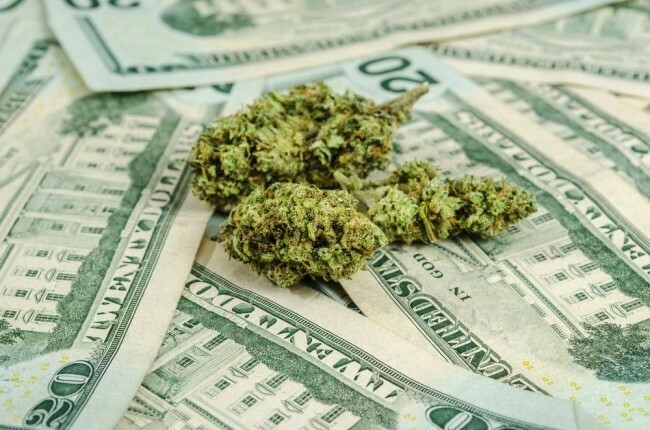 The markets MedMen operates in are probably large enough to support a much higher valuation for a nationwide chain of high-end cannabis shops, but investors should remain on the sidelines until this company can expand its presence with profits earned. If MedMen keeps using its own shares like Monopoly money, it won't matter how large the company's footprint grows. By the time there are any profits to report, they'll be spread over too many shares to matter. Imagine trying to spread a pat of butter over an entire loaf of bread instead of the slice it was intended for. Because a game-changing deal just went down between the Ontario government and this powerhouse company...and you need to hear this story today if you have even considered investing in pot stocks. Simply click here to get the full story now.